Admission is free, and registration is suggested. Email wrc@hnoc.org or call (504) 523-4662 to register. 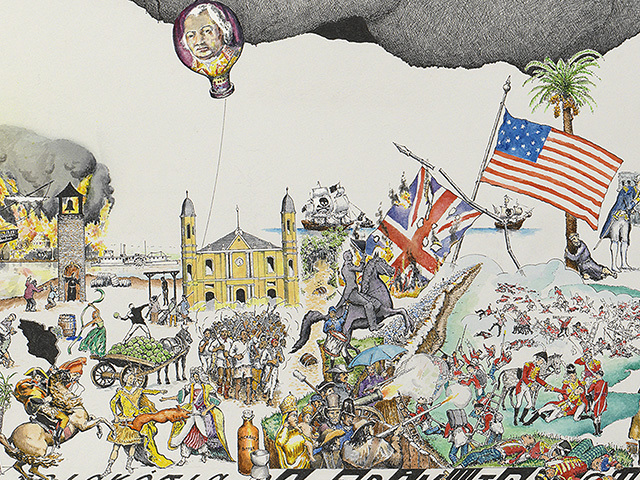 New Orleans: Between Heaven and Hell, a new history-based work by UK artist Robin Reynolds, will debut Wednesday, May 9, at The Historic New Orleans Collection as part of a preview for the institution’s upcoming exhibition Art of the City: Postmodern to Post-Katrina, presented by The Helis Foundation. Reynolds will introduce the three-foot by six-foot piece and its companion interactive tool with a public presentation that evening at 6 p.m. at THNOC’s 533 Royal Street campus. It will be visitors’ first opportunity to meet the artist and engage with the drawing. Admission is free, and reservations are encouraged. 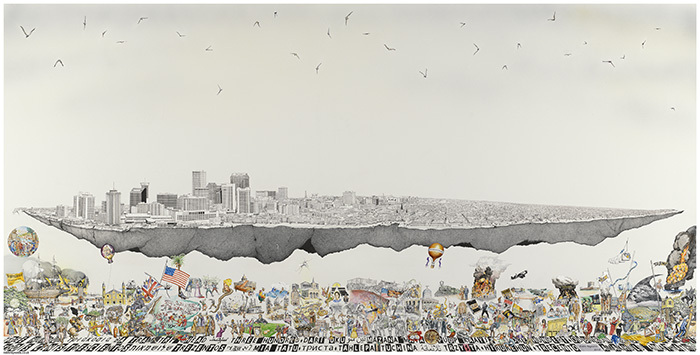 New Orleans: Between Heaven and Hell is a colored pen-and-ink work depicting an American city, held aloft by parading figures from throughout its 300-year history, and offers an outsider’s perspective on New Orleans. The piece will remain on view until it appears in the full iteration of Art of the City, curated by New Orleans interdisciplinary artist Jan Gilbert. The exhibition comprises views of the city made by contemporary artists and is scheduled to open in fall 2018 when THNOC’s new exhibition center opens.